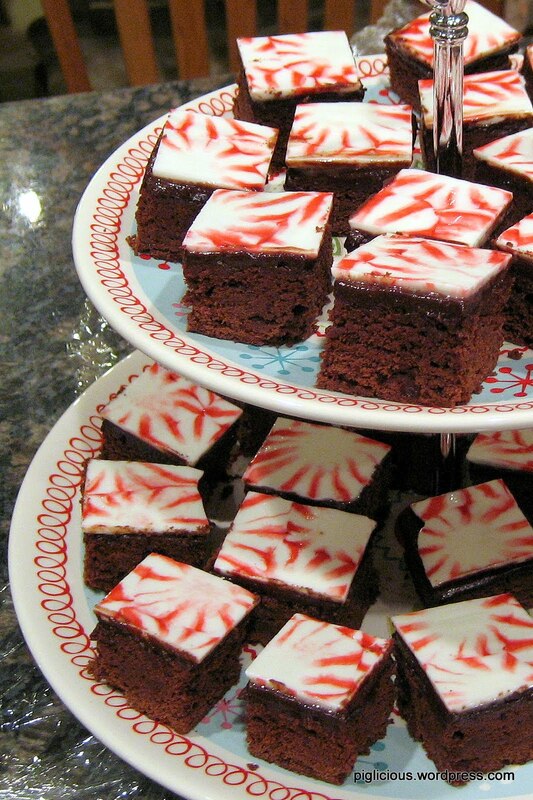 ‘Tis the season for peppermint-topped brownies!! I made these two years ago … (found my notes and pictures), but hey, it’s never too late to blog about it right? :) Ah they’re so festive! For the brownies, I used 1 1/3 cup sugar instead. 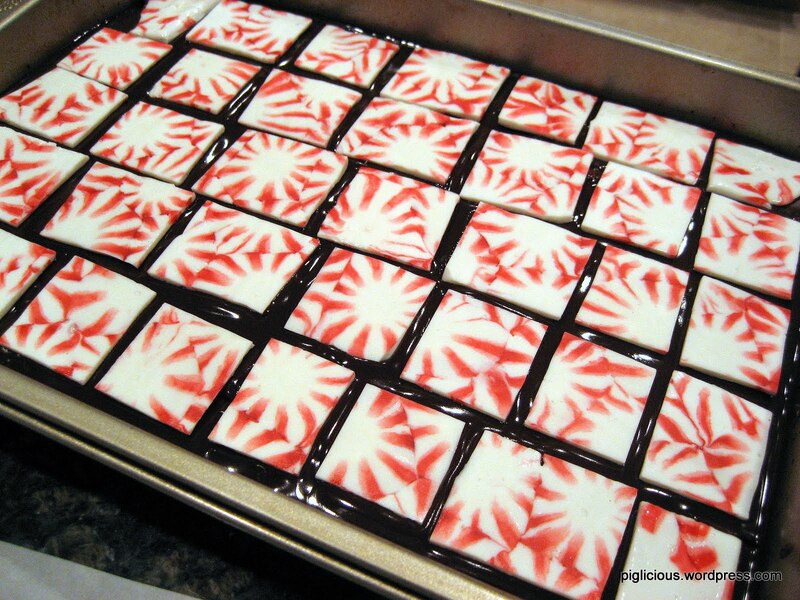 For the peppermint melting, I didn’t draw the squares.. just eyeballed it. I put my peppermints about 1 cm apart before melting them and immediately after taking it out of the oven, I filled the few holes with a butter knife. The peppermint solidifies very quickly once you take it out of the oven, so you’ll need to cut it quickly with the pizza cutter wheel and then let it cool completely.